I love face masks. I use them several times a week but I’ve never tried overnight masks. I never thought about wearing a mask overnight, I always thought it would be too messy, ruin my pillowcase, and let’s be honest, what kind of face mask can you leave on for over 8 hours? 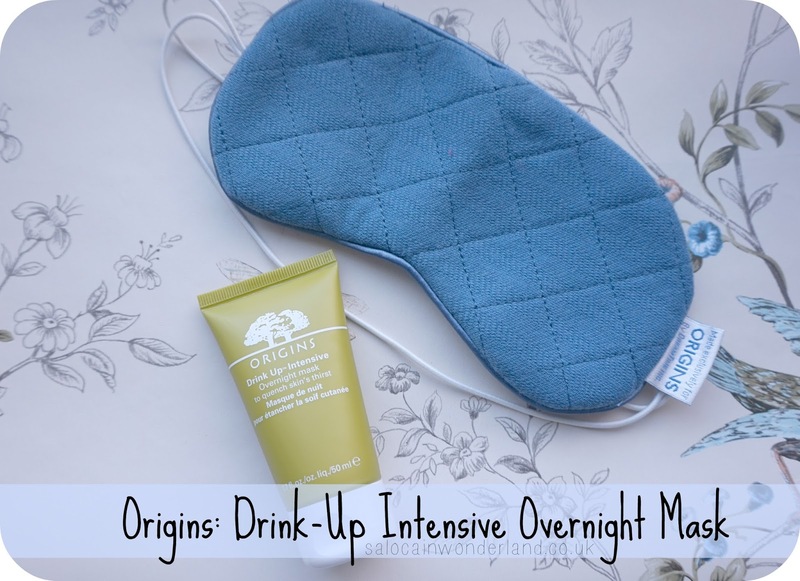 Origins Drink-Up Intensive Overnight Mask is nothing like a regular mask. Origins has fast become one of my favourite brands over the last 12 months, everything I’ve tried by them I have fell in love with - the downside to this is that with every new product I try, I have higher and higher expectations. Couple with this the fact that this mask is undoubtedly one of those holy grail, anyone and everyone is talking about it, products and expectations were running very high. Would this mask live up to the expectations? The mask itself has a very rich, creamy consistency that is really thick. I had to keep reminding myself that it wasn’t a moisturiser, it was a mask - so it was designed to sit on the skin, not be absorbed. As it’s so thick, a little goes a really long way, I’m talking maybe two pea-sized amounts - so one tube is going to last a really long time. I tend to use Drink-Up Intensive after exfoliating. Applying in circular motions until it’s no longer visible. It does leave a sheen on my face, but hey, I’m going to bed so who cares? I was still a little concerned it was going to do something funky to my pillowcase, even though I’m a back sleeper, it actually dried pretty fast and wasn’t going anywhere. When it dries, it doesn’t feel like a regular mask. There’s no tightness, dryness, you can smile without feeling like you’re going to split your skin Joker style or uncomfortable tingling sensation. It feels like you’ve got a really thick moisturiser on. My skin felt really soft and cool to the touch. This is a super intensive mask, so ideal for the winter weather we’re having right now. It’s enriched with apricot kernel oil, a holy grail hydrator, as well as avocado and mango butter, both skin loving and nourishing. Japanese seaweed locks in the moisture, ensuring you wake up to radiant, hydrated skin. In the morning, I just cleanse as normal to remove the mask, just like I would any overnight products. One thing I will say, and this is something I’ve heard mentioned before - this mask would be you best-travelling beauty product. Ever. I love flying long haul but I hate what the recycled air does to my face. You can guarantee that I will land with a new found friend on my face - oh, perfect for those holiday snaps! I’m all for using face-masks and in-flight beauty routines, but let’s face it, the looks you can get off fellow passengers usually leave you feeling a tad self-conscious about your cucumber enriched sheet mask. Origins Drink-Up Intensive dries clear, so nobody has to know that you’re actually masking on your side of the aisle! Winner. This could easily be washed off with a travel cleanser before landing, ensuring you hop off that plane with radiant, holiday ready skin! Origins, you have done it again! Another barrier smashing, bar raising product. Though it’s a rich moisturiser, it works well with my oily skin. I use this once every two weeks for an intensive, skin quenching boost and so far have managed to avoid any dry, weather-beaten patches on my face. Hurrah. Face masks while you sleep? Thoughts? OK so my shopping list just got a little longer! 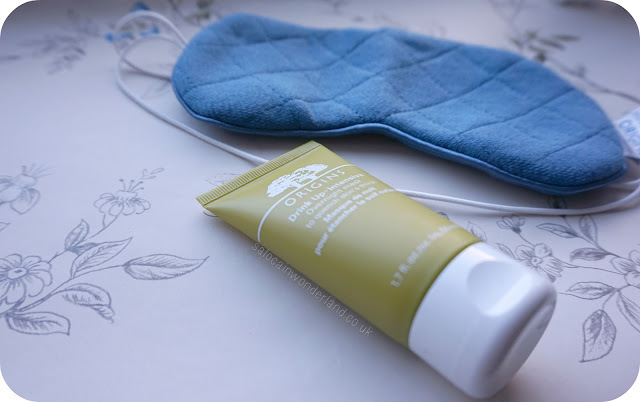 I LOVE Origins products as it is - thanks for pointing this one out hun and your review is great. Definitely something I would be putting in my flight bag! I have been using the Clear Improvement Charcoal Mask and can't get enough. I think a little goes a long way should be their motto as I am still using my GinZing Exfoliator and moisturiser that I bought forever ago!! !